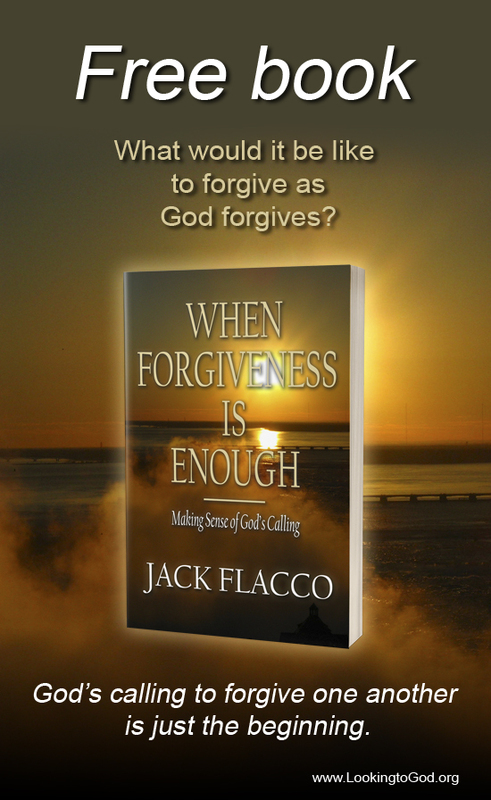 Jack Flacco, author, and founder of Looking to God Ministries, had no clue what was happening one night when his oldest son ended up in the mental health unit at the local hospital. His son had experienced an apparent autistic shutdown, a condition in which someone who suffers from autism shuts the world out in an effort to protect oneself from harm. His son’s stay there was a whole month. Why would God allow something like this to happen to a family who believed earnestly in His promises? What prompted a trial of this magnitude to unfold, bringing to remembrance what Job went through when he agonized over losing his family and his possessions? God Is Love gives the reader a view of God as being the creator and sustainer of all things, author and finisher of the universe and the source of all power to those who believe Jesus is his son. It also guides those who are looking to understand why God allows suffering in this world. And with that suffering, how God provides the strength and comfort to overcome. Trials affect everyone, but God always shows us a way out. God Is Love: Comfort Through Trials is available for download now. All royalties go toward supporting Looking to God Ministries, an organization dedicated to spreading the Word of God through outreach programs, literature and preaching. When Forgiveness Is Enough: Making Sense of God’s Calling is available for download now. Ranger Martin and the Search for Paradise, now on sale. Ranger Martin and the Alien Invasion, now on sale. At eighteen, paparazzi fodder Vanessa Birch is one of Hollywood’s hottest, young actresses. But when thirty-six-year-old, married author Matt Mitchell pops into her life, her world suddenly turns upside down. Her domineering mother wants her to end the relationship, while her publicity-hungry studio boss wants her secret exposed to the media. Now, faced with the prospect of a scandal, Vanessa will have only a few days to choose between her ever-successful career in Tinseltown and the man she so truly thinks she loves. The Necklace, now on sale. So honored that you read my latest blog post! Coming from you, it’s a BIG deal!! Like most girls who commented here, I too are not big into your genre (I think it’s a boy thing!) BUT I would highly recommend it to any one whos looking for this type of book! I am currently working on my own book, it is a non-fiction Christian book with a very similiar feel as my blog! I would love any tips, tricks and feedback about the publishing world! Thanks so much for all the kind words, Erica. I really appreciate it! Any questions about writing, let me know through my Contact page, and I’ll be happy to help! Thanks for popping by my blog. I can’t say I’ve ever read any Zombie books, not being a fan of the living dead and all that, but as you liked my blog I’m going to give it a go! Getting my Kindle out now! Thank you for dropping by at my blog. I would not have found you and your book otherwise; well, not this soon anyway. The book sounds Fan-tastic and I am definitely gonna get me a copy! How in the world did you come about having Ranger Martin wearing an Oklahoma City Redhawks ball cap in chapter one? You being from Canada? I needed a visual stating Ranger came from Oklahoma City. The cap’s backstory comes in handy later on. Ack! These distribution channels don’t make it easy for an author to reach his intended audience at times! Or for a fan to indulge in an author’s fancy, for that matter! Currently it’s available exclusively for the Kindle. There are plans to introduce this title to the Nook. However, it will take some time before that takes place. Have you thought of purchasing the paperback?